Whether its stringing together expletives or tracking down ever Nicolas Cage laugh, I usually find it difficult to sit through the standard supercut — today, however, we have an exception. 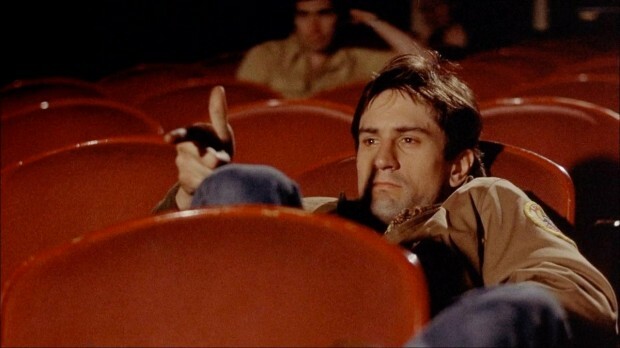 Celebrating the experience we love most, we have a five-minute video that looks at cinema within cinema. Edited by Brutzelpretzel and featuring music from Catch Me If You Can, Inglorious Basterds and Singin’ in the Rain, it highlights the many times directors have turned their camera on theatrical exhibition, from classic moments in Taxi Driver, Cinema Paradiso, and The Purple Rose of Cairo all the way to recent features such as Up and Hugo. Check out the video below, as well as the full list of films used. What’s your favorite film in the above video?